The combined map is a nonlinear map combined with two nonlinear maps. 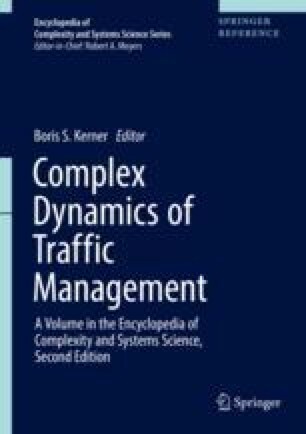 The combined map model is a dynamic model of a single bus in which both effects of speed control and periodic inflow is taken into account. Nonlinear map with a time lag. The delayed map model is a dynamic model of bus motion described by the delayed map where the delay of acceleration or deceleration is taken into account. The future behavior of dynamics involved no random elements does not make predictable. The behavior is known as deterministic chaos. The chaos occurs in the nonlinear map models of buses, trams, and elevators. The circle map is a one-dimensional map which maps a circle onto itself. A nonlinear map including sin function. The extended circle map model is a dynamic model of a bus with the periodic inflow at a transfer point.